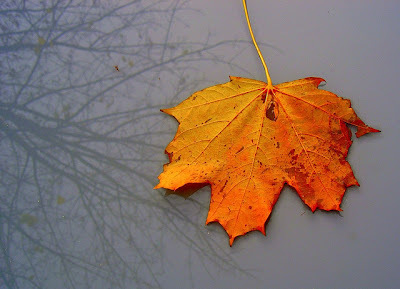 The solitary autumn leaf is a recurring theme in my portfolio, but this was my first attempt. What makes it special is the inclusion of the leafless tree, reflected in the glass plate of the garden table on which the leaf had fallen. Compositionally, I would do better nowadays, but the naive charm of this shot has its merits. It has become rather popular, featuring in a number of overviews of autumn pictures on photography sites.